Like most Italian cocktails or aperitifs there’s a great story behind The Bicicletta, or Bicycle, cocktail. Legend has it that The aperitif was named after the elderly men who swerved all over the road while riding home after a few afternoon drinks at the café. The story sounds about right and remind us of how Count Negroni invented the popular Italian cocktail after requesting something slightly stronger that his regular Campari and Red Vermouth. The Bicicletta is essentially a modified Aperol Spritz minus the Aperol and Prosecco. 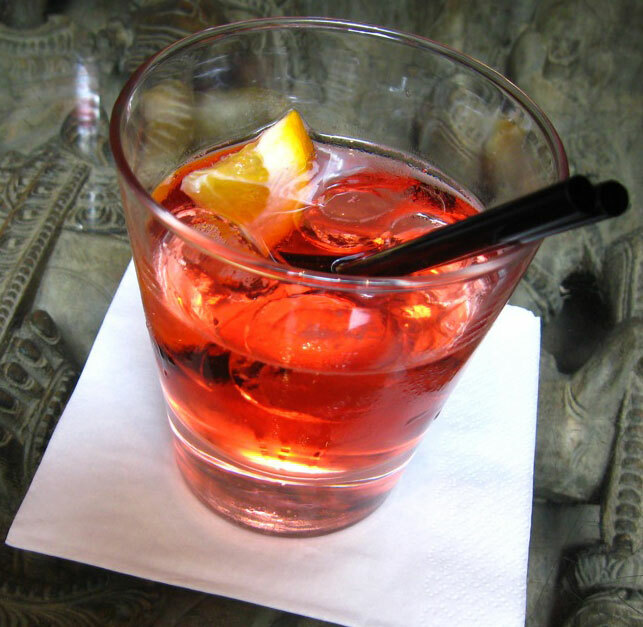 The Bicicletta is great as an aperitivo because the alcohol level is relatively low. I especially like aperitivos like the April Spritz, Americano, or Campari and Soda during the summer months (with plenty of ice to cool me down). In fact, why not find a copy of Vittorio De Sica’s neo-realistic classic Ladri di Biciclette (The Bicycle Thief) and whip up a cocktail while you watch! Add ice and pour soda.